If you use iTunes U in order to subscribe to or download courses, you're probably already familiar with how it works and how to browse for items that interest you. There may come a time when you run across a course that you think may interest someone else. 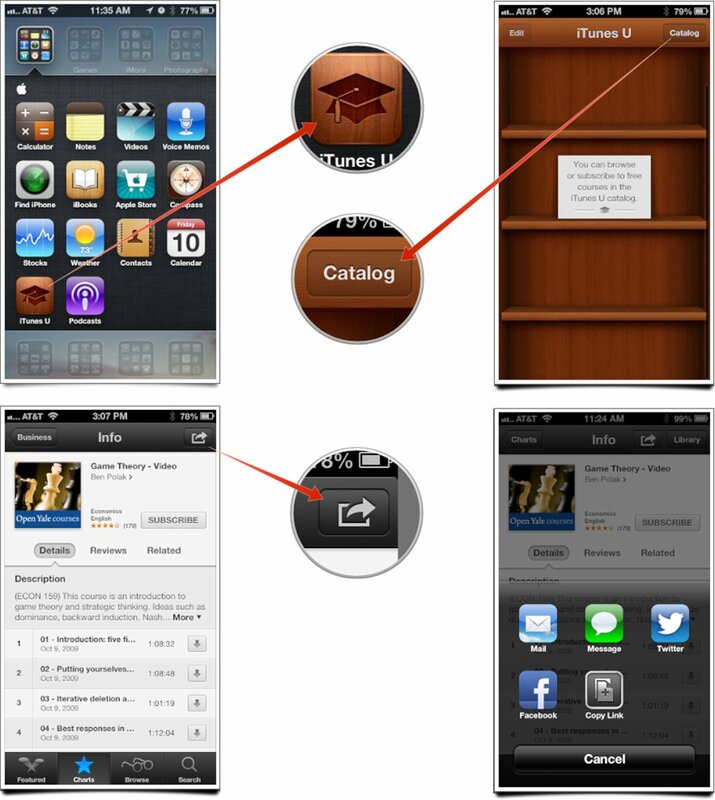 iTunes U makes courses easy to share it with anyone. Tap on the Catalog button in the upper right hand corner in order to view the store. Now find the course that you'd like to share with someone and tap into it in order to view the summary screen. From here, tap the Share button in the upper right hand corner. You can now choose to share that course with someone via email, SMS, Twitter, Facebook, or simply copy the link in order to share it another way.